﻿ Carlsbed Motel, Sokcho-si | FROM $25 - SAVE ON AGODA! Have a question for Carlsbed Motel? 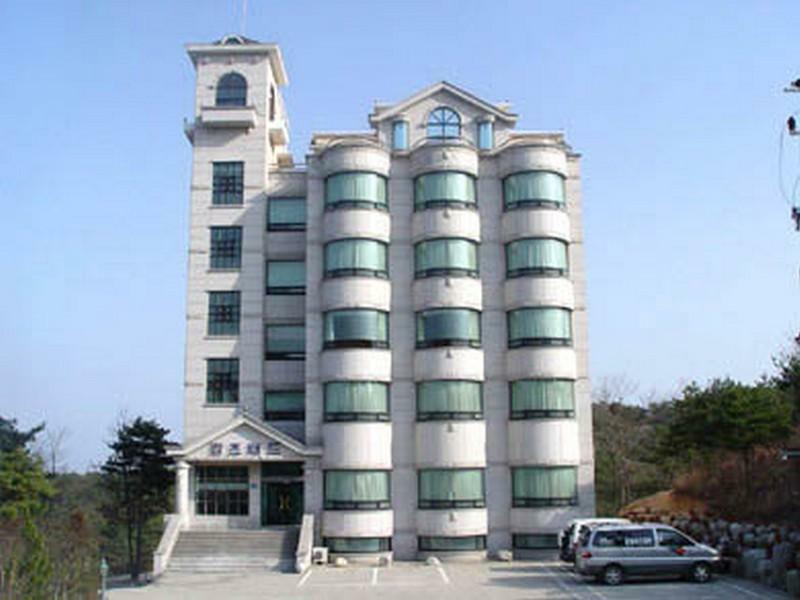 Whether you're a tourist or traveling on business, Carlsbed Motel is a great choice for accommodation when visiting Sokcho-si. From here, guests can enjoy easy access to all that the lively city has to offer. Visitors to the hotel can take pleasure in touring the city's top attractions: Kimheyoung Skin Care, Soksho Gidokgyo Baekhwajeom, Sokcho Expo Tower. Offering hotel guests superior services and a broad range of amenities, Carlsbed Motel is committed to ensuring that your stay is as comfortable as possible. Guests of the hotel can enjoy on-site features like free Wi-Fi in all rooms, 24-hour front desk, express check-in/check-out, luggage storage, Wi-Fi in public areas. The ambiance of Carlsbed Motel is reflected in every guestroom. air conditioning, heating, television, refrigerator, shower are just some of the facilities that can be found throughout the property. The hotel offers an excellent variety of recreational facilities, including hot tub, golf course (within 3 km), fishing, garden. 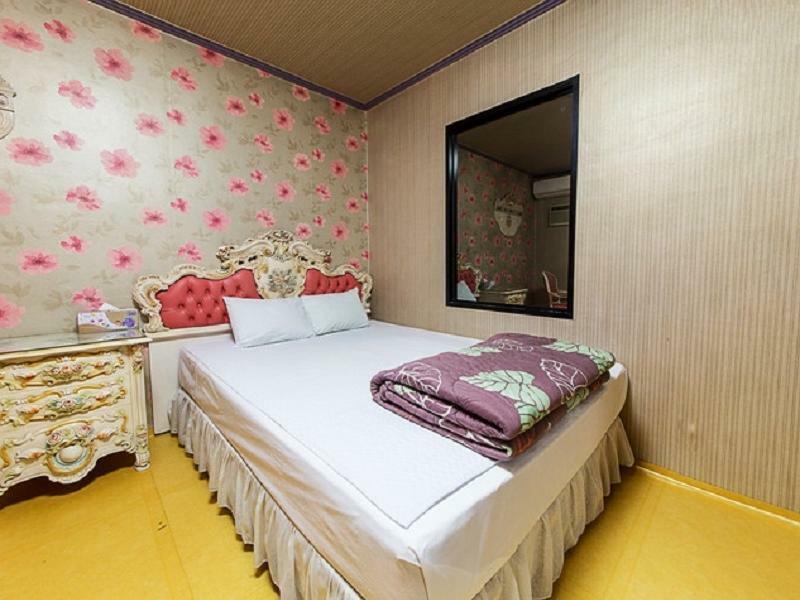 When you are looking for comfortable and convenient accommodations in Sokcho-si, make Carlsbed Motel your home away from home. The hotel itself is good and staff are good except they cannot help you with anything because they cannot and nobody can speak English not even direction on where to go. We come there without a car and it was a very bad idea since from the hotel you cannot go anywhere else by foot because its infront the main road and no road for walking and not also close to bus stop either,but facilities are good. Too far away from the city. If you don't have your own vehicle it's a hassle to get to. I have traveled a lot for business and pleasure and have never had such a hard mattress or pillows. I could not move my neck in the morning. The bathroom was pretty clean but pretty old. The rooms could use a remodel. Most weird was the large 2 way mirror between the bedroom and the bathroom!!!! BUT if the light was off in the bathroom you could not see in to it from the bedroom BUT if the light was on in the bathroom you could see everything in the bathroom!!! so if you were using the toilet or shower the person in the bedroom must make an effort not to look in. For this reason alone I would never stay there again! Much less the concrete bed and pillows! It was Gud Everything was Quite Gud except the toilet. We booked an extra bed for the Motel but the staff told us they have no extra beds - so we had to sleep in the big bed with three people. Only good thing is nice staff. Hotel is old and very far from city center. However, the lady staff I met is nery nice. the hotel overall was just a normal motel. the building was dimly lit. a bit old. The room wasn't ready when we arrived around 1pm, so we drove into town for a few hours. They did give us a room on the top floor when we requested that. So our room was quiet and clean and fine, basic type amenities. The only drawback would be that it is located about a half kilometer down the highway, so it's not possible to walk to or from the hotel, and getting a taxi would require a call service. The hotel was actually quite far from the bus stops, shops, restaurants and tourism spots. It was pretty inconvenient for tourists without cars. Besides, there was no breakfast and wifi provided which caused another inconvenience. However, the room was quite spacious and cozy on the contrary. 차를 이용한다면 시장에서 가까우므로 위치는 괜찮은편이나, 그것이 유일한 장점. 담배냄새가 가득담긴 객실은 숨쉬는것이 사치가 되어버린 느낌. 타 숙소에 비해 저렴하지만, 다음엔 절대 이용할 생각 없음. 에어컨이 좀 약한거 빼곤 그냥저냥 잘만했네요. 도로에서 갑자기 우회전해서 헷갈렸는대 가격대비 만족 위치는 차없으면 가기 힘들것 같습니다.